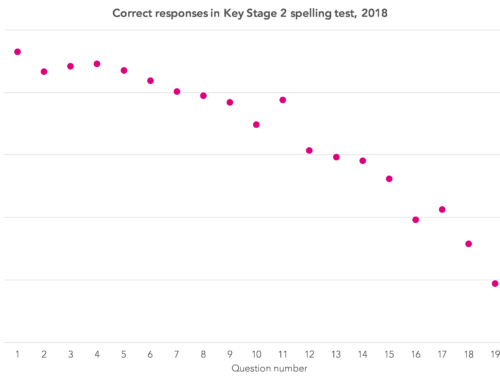 Home/Posts/What can we learn from Key Stage 1 scaled scores? This blogpost is part of the FFT KS1 Early Results Service. The service allows schools to upload their KS1 results and then access an early analysis of their KS1 results. The early results service is available through FFT Aspire. At Key Stage 1, pupils are assessed (by teacher assessment) in reading, writing and maths. They also take tests in reading and maths (and optionally, grammar, punctuation and spelling). The test results inform, but do not determine, the teacher assessment. Teacher assessment data is collected from all state schools but test scores are not reported. 2,400 schools that subscribe to FFT Aspire were good enough to send us some 2018 Key Stage 1 data about over 100 thousand pupils including both teacher assessments and scaled scores from tests. These schools can now access some preliminary analysis of their 2018 results in Aspire. Please follow this link if you are an Aspire user and would like such an analysis for your school. So what can we learn from the data? The first thing we should say is that the data is from what’s known as a convenience sample so we would be cautious about inferring too much from it. 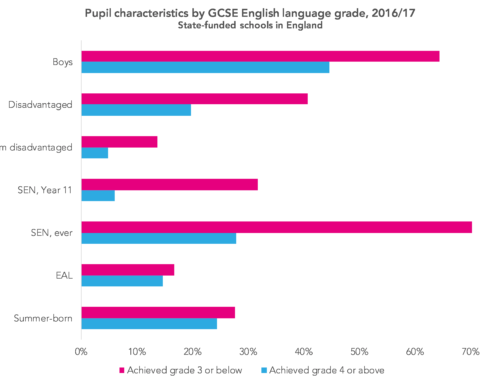 Attainment in 2017 among schools in the sample was slightly below the national average but not to any great extent. 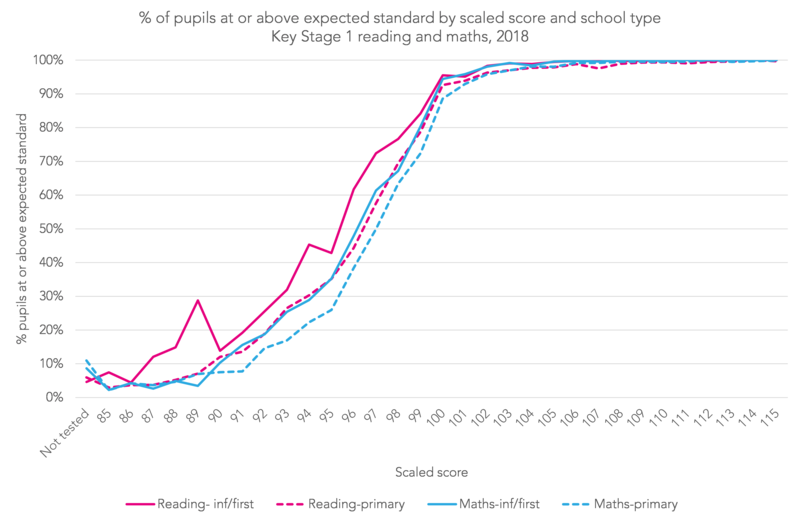 First of all, and as would be expected, the percentage of pupils achieving the expected standard (or above) in reading according to teacher assessment increases in line with reading test scaled scores. The overwhelming majority of pupils scoring 100 or above met the expected standard, along with sizeable proportions of pupils scoring just below 100 (98-99). The same pattern applies to maths. Secondly, infant schools in the sample were more likely to assess pupils who scored below 100 in a test as being at or above the expected standard in each of reading and maths. 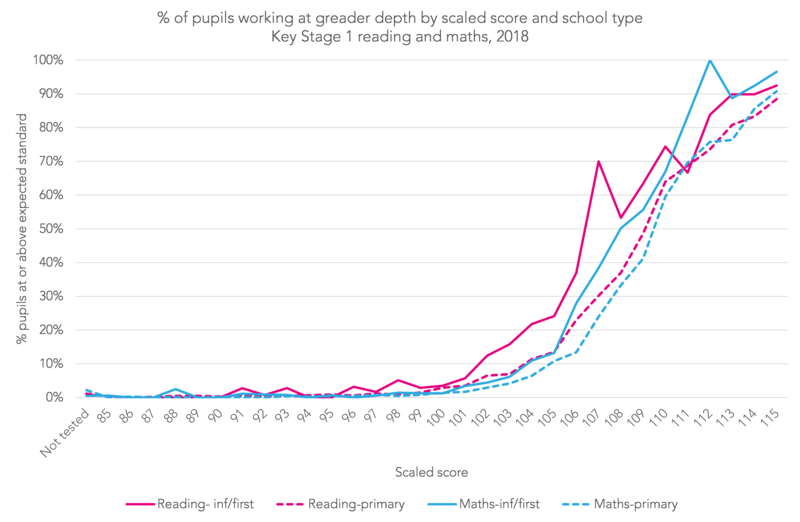 Similarly, infant schools in the sample were more likely to assess a pupil with the same scaled score as a pupil in an all-through primary school as working at greater depth than the expected standard. 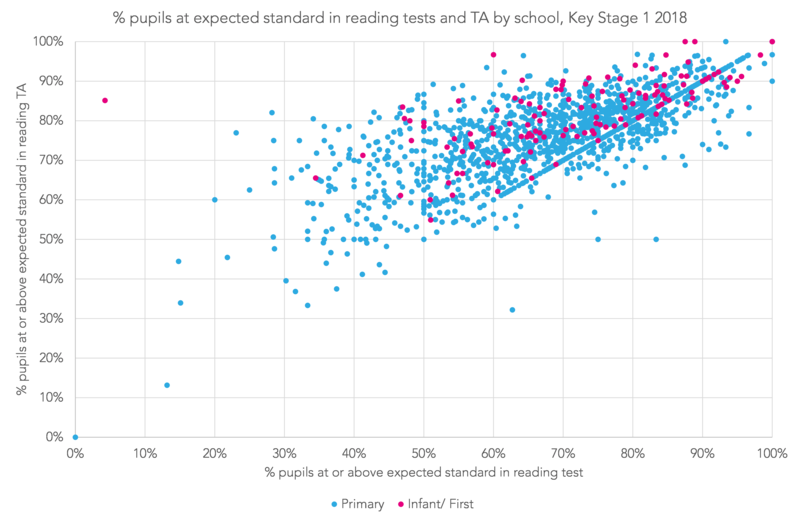 Fewer pupils achieved the expected standard in the reading test than did so under teacher assessment. 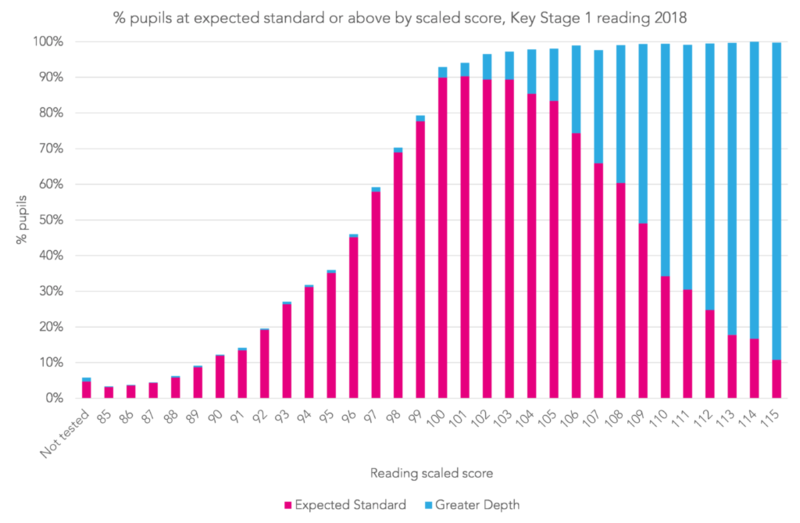 A total of 77% of pupils in our sample met the expected standard in reading according to teacher assessment, but only 68% did so according to the test. 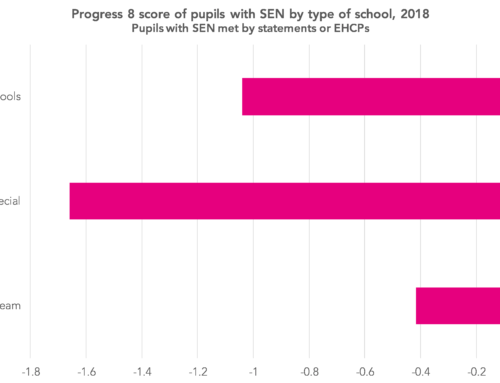 Finally, the correlation between Early Years Foundation Stage Profile (EYFSP) scores and Key Stage 1 scaled scores is slightly lower than that between EYFSP score and Key Stage 1 teacher assessments. Given that scaled scores are more granular, we might have expected the reverse to be true. To calculate the correlations between EYFSP score and teacher assessments, we convert teacher assessments into standardised scores based on the percentages of pupils assessed at each standard. The table below shows that the correlations are rather low, especially given that there are only two years between reception and Year 2. However, the EYFSP score data has a rather odd distribution. The scale ranges from 17 to 51 and over a quarter of pupils scored 34, indicating that they were working at the expected standard in every one of the 17 early learning goals. We can only speculate at the moment why the correlations for tests are lower. It could be that there is more recording error in the data. For instance, we cannot say for sure if a missing test score is due to a clerical oversight or because a pupil has not been tested because they were working below the standard assessed by the test. 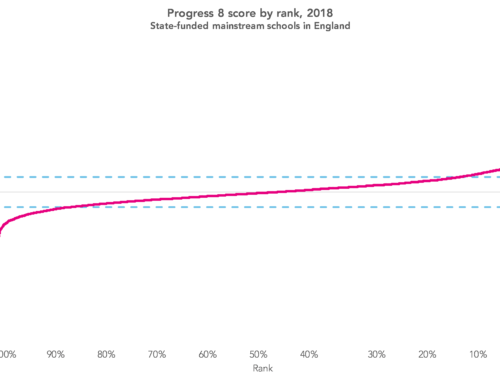 (We excluded schools where test scores were missing for the majority of pupils from our analysis). Alternatively, could it be that, in this instance, teacher assessment is a less noisy measure of pupil attainment than test scores? 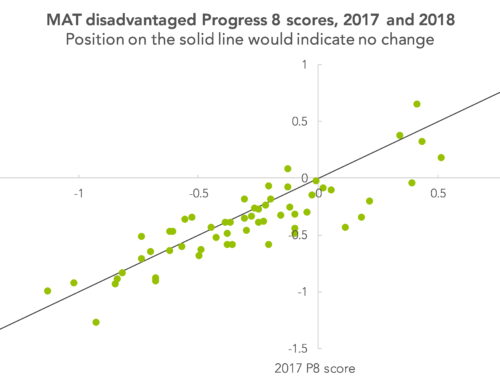 Explore your KS1 scaled score report and see how your school differs from FFT’s national patterns in the new report available in FFT Aspire. To download a copy, log in to FFT Aspire, go to the Self Evaluation menu at the top of the screen and click ‘See all downloads’.